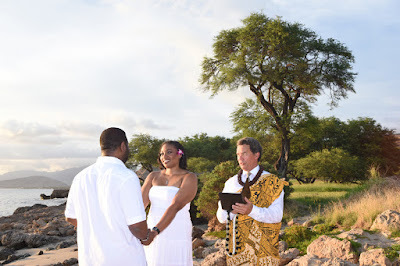 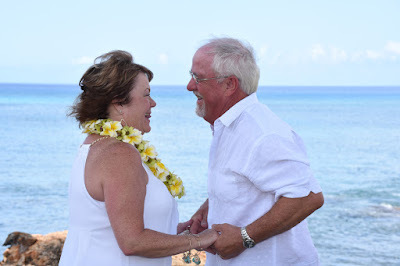 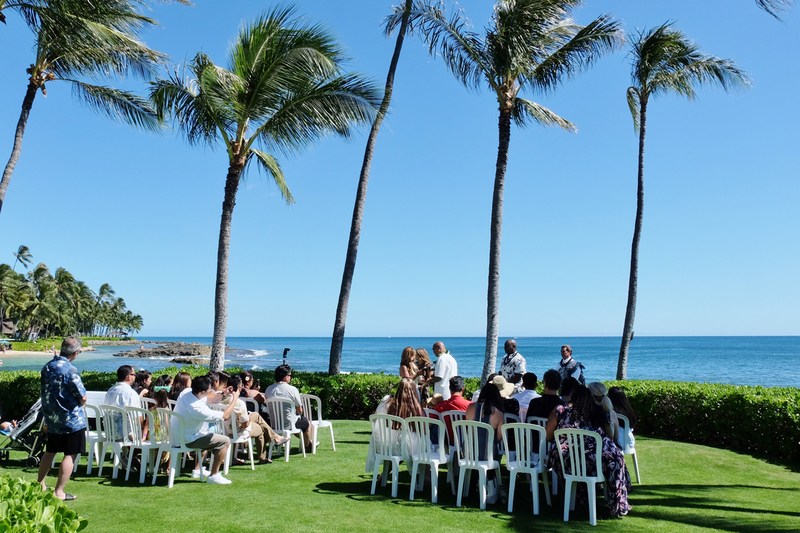 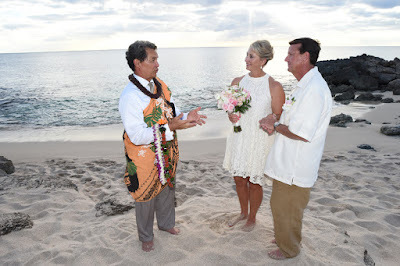 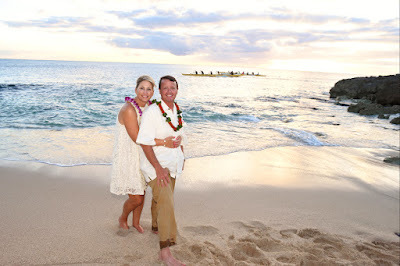 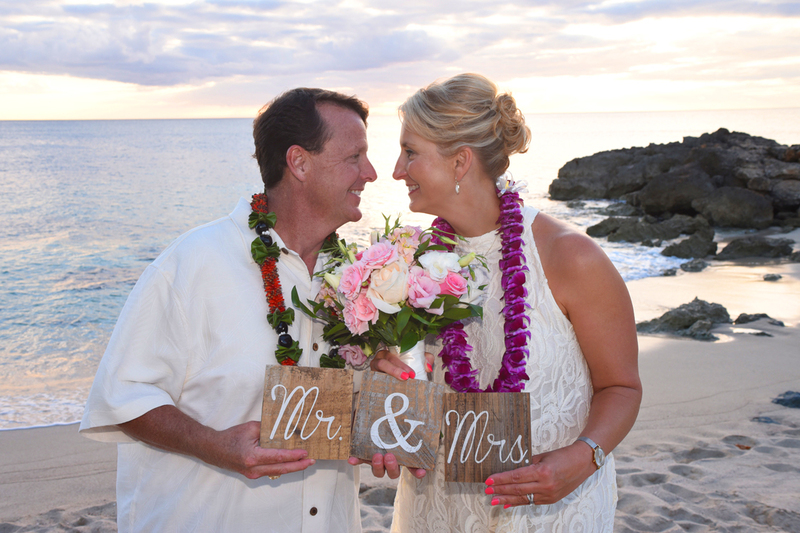 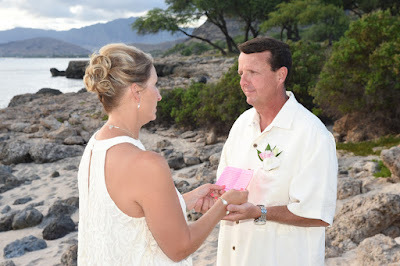 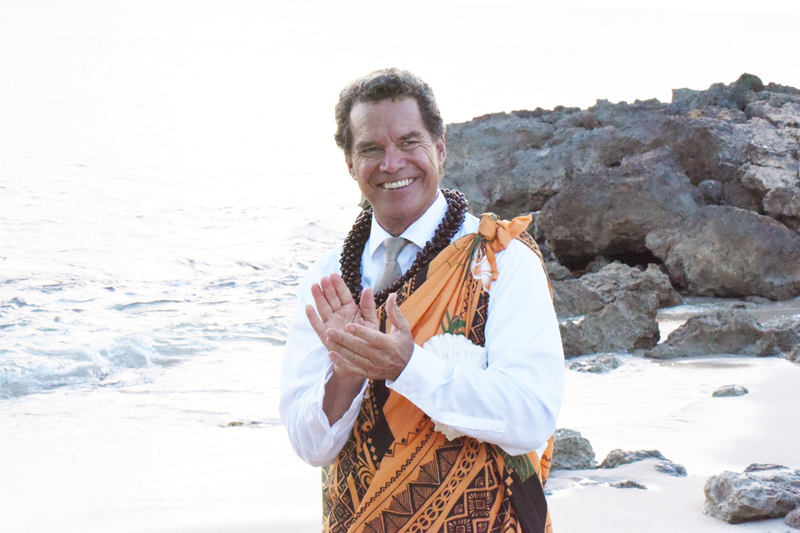 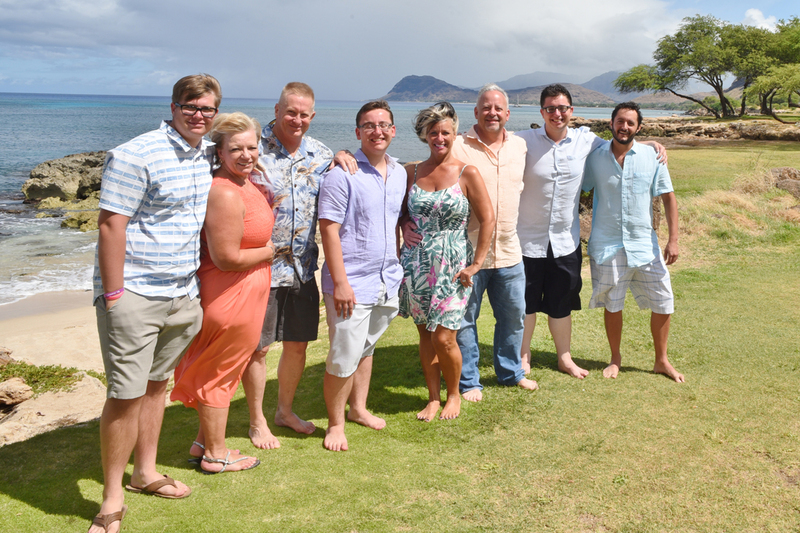 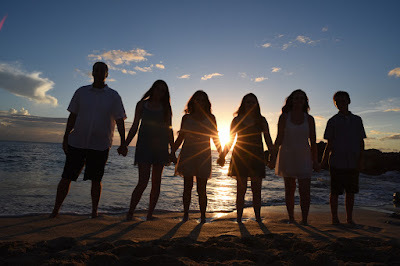 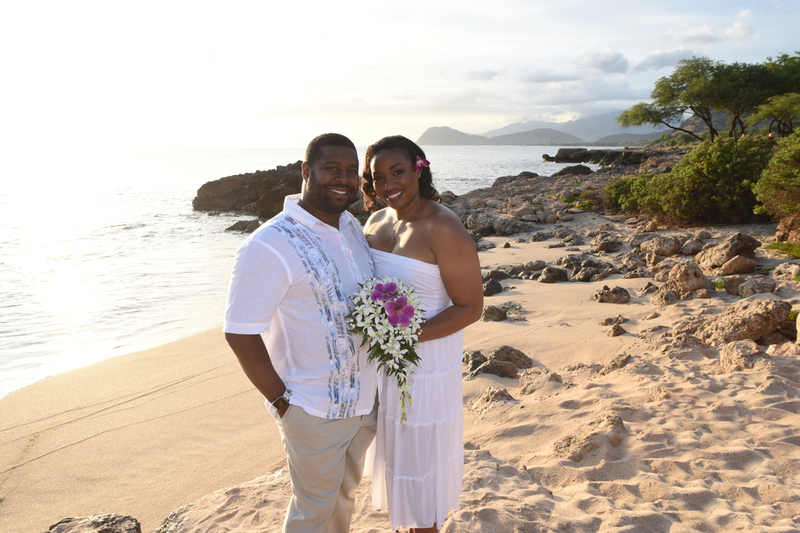 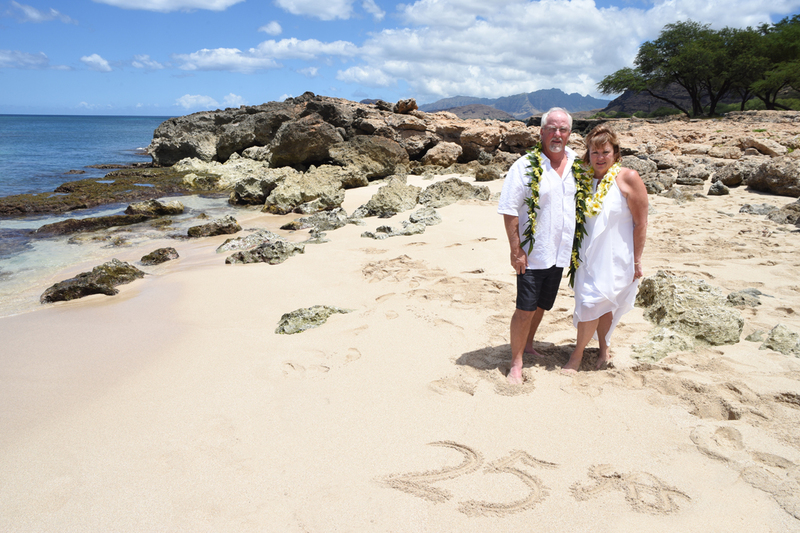 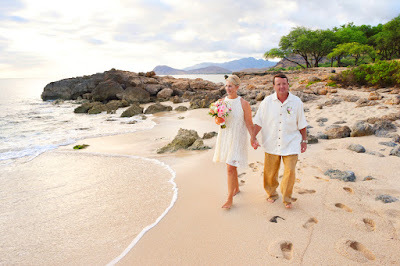 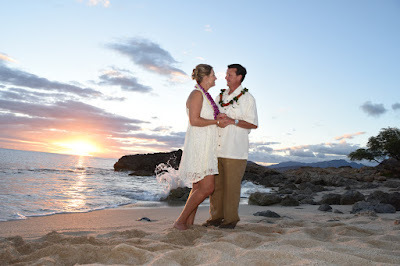 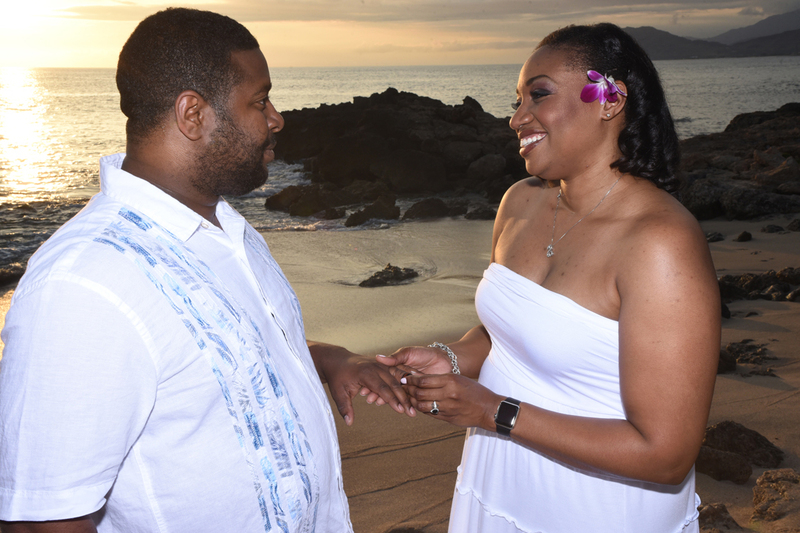 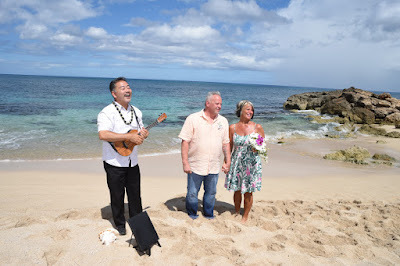 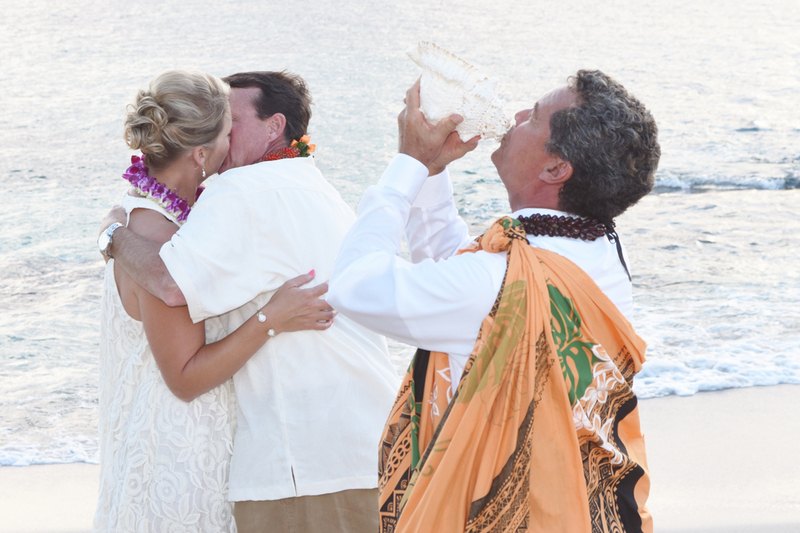 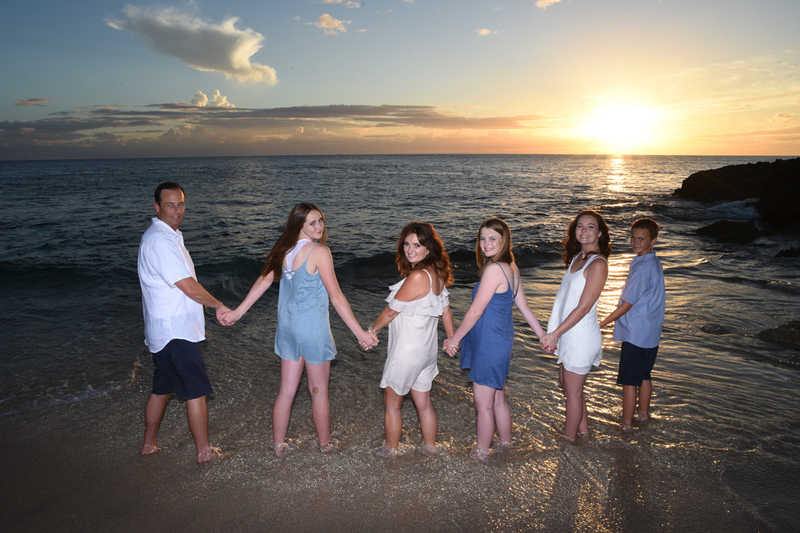 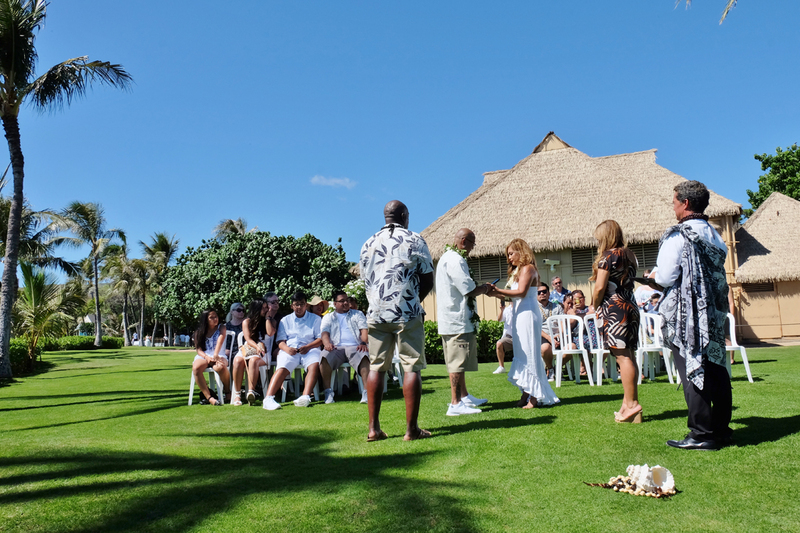 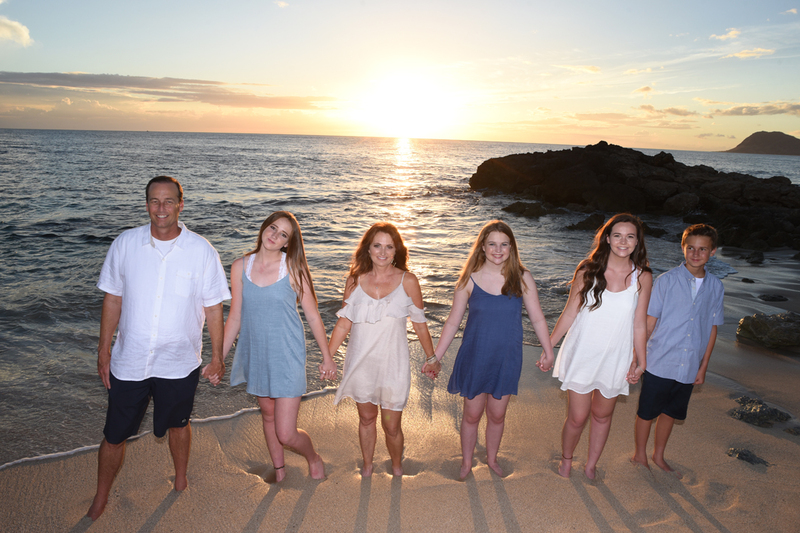 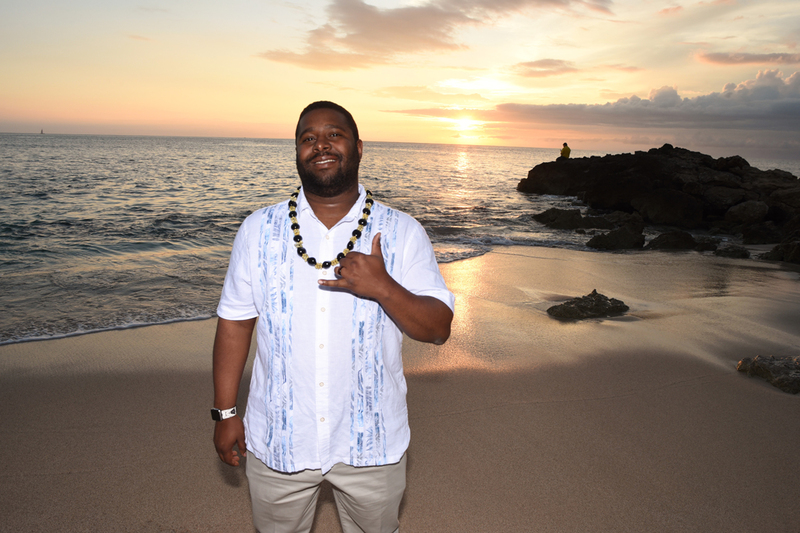 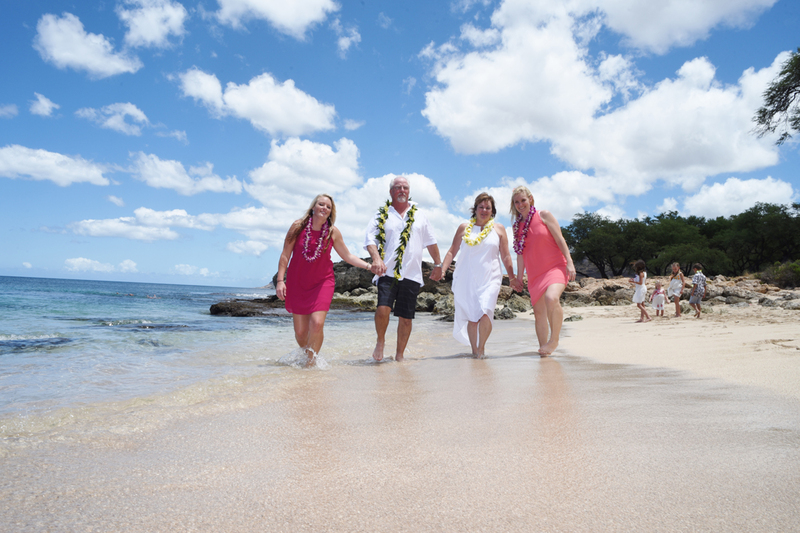 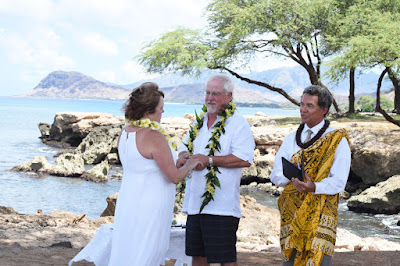 Tim and Lois celebrate 25 years of marriage with a wedding vow renewal in Ko Olina. 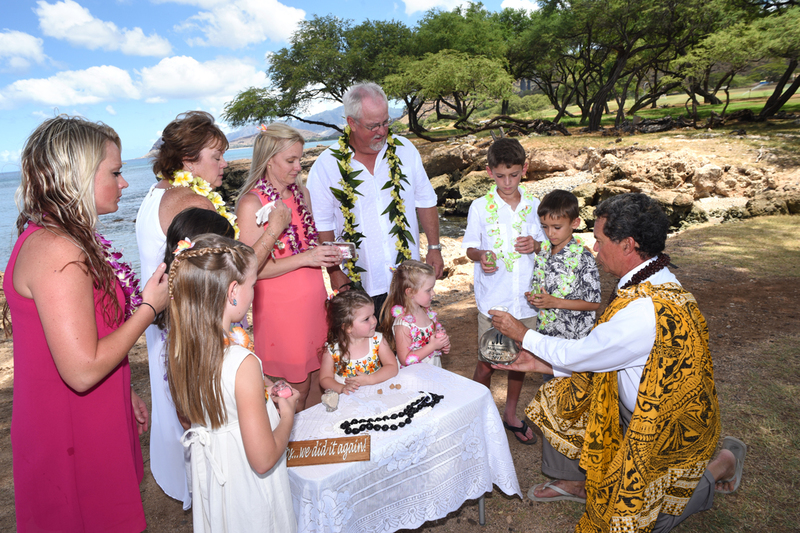 What started out as a family photo shoot turned into a surprise Vow Renewal for Suzy. 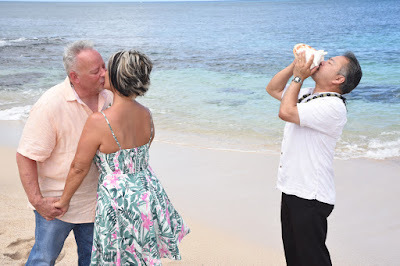 She was the only one who didn't know. 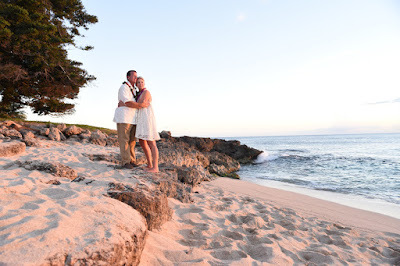 Milo Cove is a lovely location in Ko Olina. Beautiful sunset and be sure to notice the splashing wave next to the Bride. Intimate wedding with Mark and Sharon at Milo Cove, our favorite spot in West Oahu. 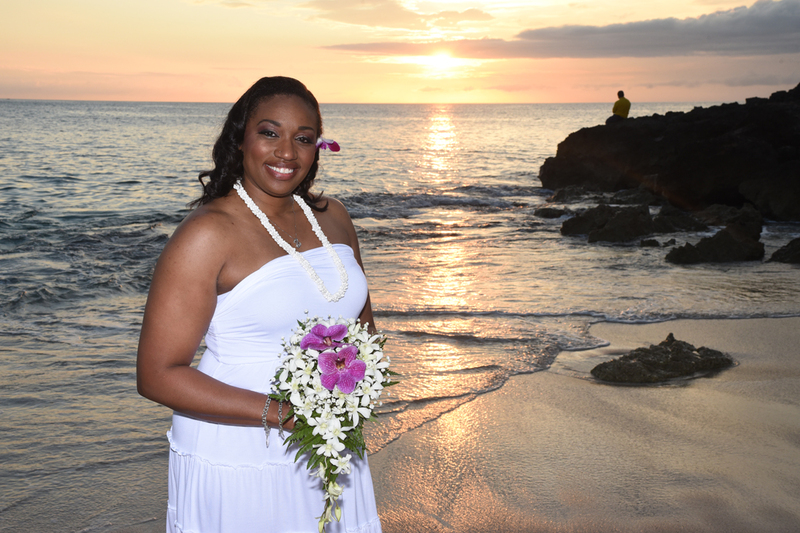 Here is our Ko Olina wedding package below, which you may customize by adding Flower, Music or Cake. 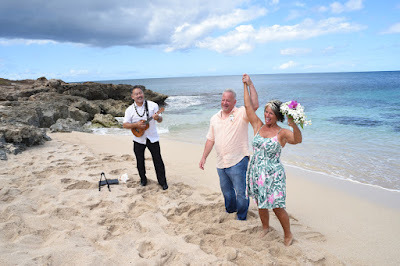 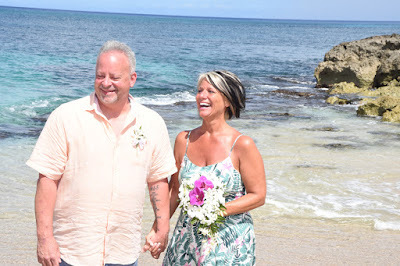 Mark and Melisa tie the knot at Paradise Cove Luau in West Oahu. Wedding arrangements by Bridal Dream Hawaii.